TOLEDO, Ohio, October 18, 2016 – SSOE Group (www.ssoe.com), a global project delivery firm for architecture, engineering, and construction management, announced today that three of its employees earned a professional registration and four other employees earned professional certifications during the fourth quarter of SSOE’s 2016 planning year. Attainment of professional licensures and certifications is strongly encouraged at SSOE. In fact, the company covers the expense of preparation classes and exam fees as well as provides paid time off to take the exam. 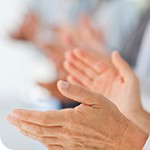 As an added incentive, once a staff member has passed an exam, they are awarded a recognition bonus. Stephanie Bonderczuk, RA, Architect, recently earned her architectural licensure, requiring her to pass the Architect Registration Exam. The Architect Registration Exam evaluates a candidate’s knowledge, skill, and ability to provide the various services required in the practice of architecture. Additionally, candidates must obtain a professional degree from an NAAB-accredited program and complete the Intern Development Program (IDP). The IDP includes approximately 3 years of on-the-job experience consisting of training units in 16 different categories. Stephanie graduated with a Master of Art and Bachelor of Art in Architecture from Andrews University. She has over 5 years of experience and works in SSOE’s Troy, Michigan office. James Burtnett-Grigsby, PE, Chemical Process Engineer, recently earned his professional engineering licensure upon successfully completing the Principles and Practice of Engineering (PE) exam. The exam measures a candidate’s academic and practical knowledge of technical engineering. Candidates are eligible to take the exam after meeting statutory requirements, including a minimum of 4 years of acceptable work experience. James graduated from the University of Toledo with a Bachelor of Science in Chemical Engineering. He has over 7 years of experience and works in SSOE’s Toledo, Ohio office. Jamie Locke, CCM, PMP, Construction Manager, recently earned his Certified Construction Manager (CCM) designation upon successful completion of the certification exam. The exam measures a candidate’s knowledge of Construction Management Standards of Practice, which outlines standards for construction management services in the areas of project / program management, sustainability, BIM, and more. Additionally, candidates are required to have 48 months of experience as a construction manager in qualifying areas as well as an undergraduate degree, associate degree, or additional 8 years of experience in construction management, architecture, engineering, or construction science. An expert in safety, compliance, construction planning, and quality control, Jamie has over 20 years of experience and works in SSOE’s Portland, Oregon office. Brandon Thompson, Senior Electrical Designer, recently earned credentials as a Wonderware® Certified Application Developer in InTouch® 2014 R2 and Application Server 2014 R2 upon successful completion of exams for both products. The exams measure a candidate’s mastery of the industrial software and the fundamentals of application design. Brandon graduated from Owens Community College with an associate degree in Industrial Electronics and has over 18 years of manufacturing and process engineering experience. He works in SSOE’s Toledo, Ohio office.